The theme of this week's Gathering will be “Love Amid Injustice”. 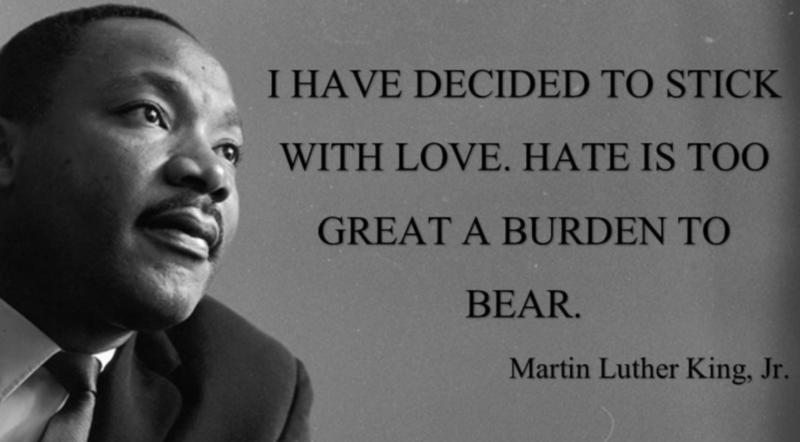 On the Sunday closest to Martin Luther King, Jr.'s birthday, we consider 'love amid injustice.’ King insisted that love was essential for securing justice and that, as only light can dispel darkness, only love can drive out hate. Is it nonsense? Don't we all sort-of hate our enemies, really? Why and how love matters in injustice - and how to start your new year's training programme on loving your enemies!